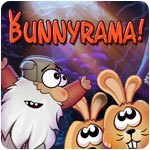 Bunnyrama Game - Download and Play Free Version! 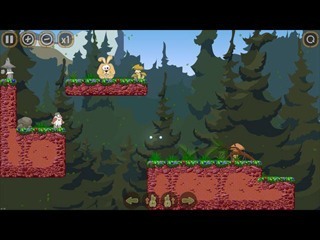 Bunnyrama is a unique and challenging puzzle adventure game where your goal is to lead an old man through a magical forest full of huge bunnies. Each level is a labyrinth with different puzzles, and only one exit. 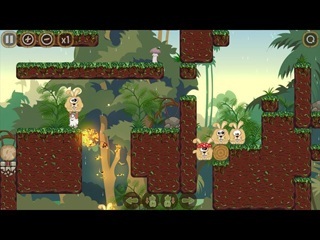 Bunnies will help you, carry and stack them properly, use their unique features to build your way to the portal, and help the old man find his way home. Puzzle mechanics are easy to understand, but complexity grows as more elements are added in each level. There are different types of bunnies, platforms, portals, elevators, buttons, doors and etc. After the first episode it will be a real challenge for your brain!